Sri Lanka exchanged blows in England without much of a positive result. Their homecoming was expected to provide them some relief, only some because the touring team was the mighty Australia. Came the first test in Pallekele and the No. 1 team was thrashed by 106 runs. 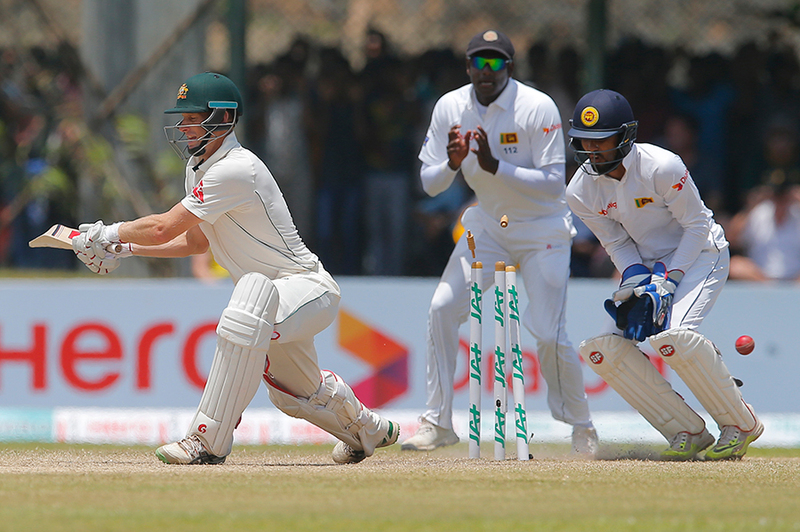 Australia was expected to raise the bar of their batting in Galle but getting bundled out on a paltry 106 was nowhere closer to anyone's imagination. The end result being the increase in the margin of defeat (229 runs). Some poor strokes did not help Australians cause. They surrendered to the man of the match, Dilruwan Perera, in both the innings and in both the departments apart from being attacked by the veteran, Rangana Herath, who became the second Sri Lankan bowler to grab a test hat-trick. What goes around comes back around seems so true at times. Asian teams go overseas and succumb to big test defeats. Facing the swing and bounce of the red cherry becomes difficult. Foreign teams experience the same in the sub-continent. The square turners make it difficult for the touring batsmen to counter. But was the pitch in Galle really a square turner? If yes, then how did Mitchell Starc registered figures of 11-94? Or does that mean that test cricket is more appreciative towards the home team? A lot of questions with no answers are on offer. Another of them is will Australia make a turnaround in the next match in Colombo? They would be desperate to do so. At least for their name! Darren Lehmann himself stuck 129 vs Sri Lanka in Galle in 2004. His pieces of information would do wonders for this lot.